A year ago, Malaysia Airlines flight MH17 was brought down over the territory of conflict-torn Ukraine. This tragedy shocked the world and affected families in many countries. Today, debris can still be found in the area around the crash and the investigation, shrouded in secrecy, still hasn’t reached a definitive conclusion. RTD talks to witnesses, experts and family members of MH17 passengers in a bid to understand whether the truth of what caused the tragedy will ever be established. 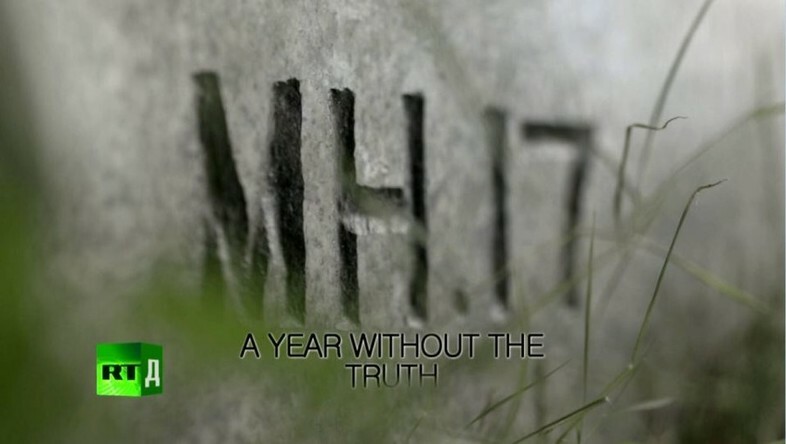 Watch “MH17: A year without truth” on the RTD website and on RT’s live feed. The time of the broadcast is available on RT’s schedule page.